Download these MP3 excerpts and use them for ringtones, your “new mail” sound etc. 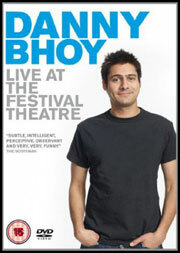 Bottle Shop and Half Indian, Half Scottish are from Danny’s forthcoming DVD, to be released on 26th November. Pre-order it now from Amazon, Play or HMV! Click “playlist” to choose your video, or watch all the videos on Danny’s YouTube channel.